ASAP provides Air Conditioning And Heating Installation and Replacement services to Mesa AZ and all surrounding areas in Arizona. We provide and install Trane, Carrier, York, Goodman, Amana, Rheem, Lennox, Ruud, and all brands and types of Air Conditioning and Heat Pump Units and all A/C Systems. We offer energy efficient, environmentally friendly systems that lower energy costs, improve air quality, and more importantly, improve the comfort of your home. ASAP Air Conditioning And Heating can explain installation parameters, SEER rating and other technical aspects of HVAC systems in terms you can understand. 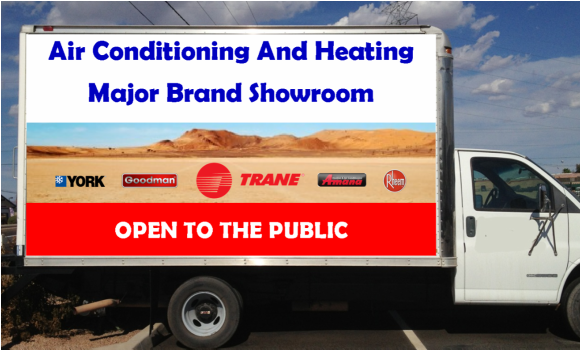 Please come and visit our Major Brand Showroom in Mesa, we are located at: 3643 East Main Street, Mesa AZ 85205. Or call us anytime for fast same day A/C replacement service, our sales team and installation staff are ready to meet your needs 24/7.